"P.W. is honest - his free quote was exactly what he charged. He worked quickly and neatly. He is professional, and safety was of paramount importance. I have used Alpine Stump Grinding now on four occasions and I have always been extremely satisfied. He has affordable prices, and is locally owned and operated. As a satisfied customer I would say act now and use Alpine Stump Grinding to protect your property from damaging roots. Why break your back with a pick and shovel? Let his equipment make light work of the next job." "One thing that can be said about P.W. 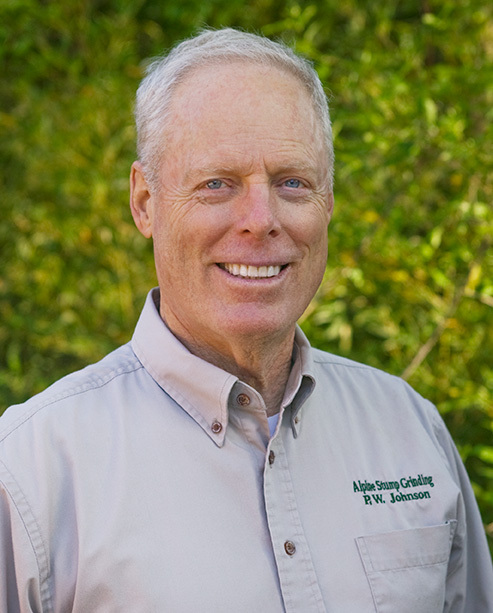 Johnson of Alpine Stump Grinding is, if he says he will do it, you can count it done already, 100% and to your satisfaction." Copyright © 2019 Alpine Stump Grinding. All Rights Reserved. Blog by Wordpress | Free Theme Provided by journaling wordpress themes and Sponsored by software graphics.